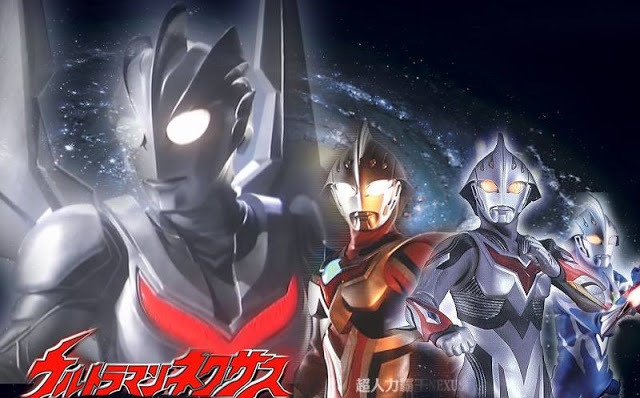 As the world reeled from the first Space Beast disaster, Noa based himself on Earth and evolved further to become Ultraman Nexus. Over the years that passed until AD 2008, a secret global organization known as the Terrestrial Liberation Trust had been formed to defend Earth from the Space Beasts threats. At the same time, they were responsible for eliminating the public’s memory of Ultraman or the Space Beasts since the 2004 Shinjuku Disaster. This was done to prevent a global panic from occurring, which would create ideal conditions for more Space Beasts to appear and feed upon their fears. Noa himself had begun his own action to protect the world from Zagi and his minions as Ultraman Nexus, and soon chose Jun Himeya, a former war photographer who experiences survivor’s guilt from the inability to save an orphan named Sera. The fate of being chosen as a Deunamist led him to assume it as a self punishment for his past sins. During his time as the host for Nexus, he was first seen as another Space Beast by most of the Night Raiders, while Kazuki Komon instead became fast friends after being saved from a Pedoleon and several Beasts afterwards. Komon also kept Himeya’s identity as Ultraman secret from his superiors and often butted heads with his immediate superior Nagi over the issue of whether Ultraman should be trusted or not.